Books are important in genealogy for several reasons. 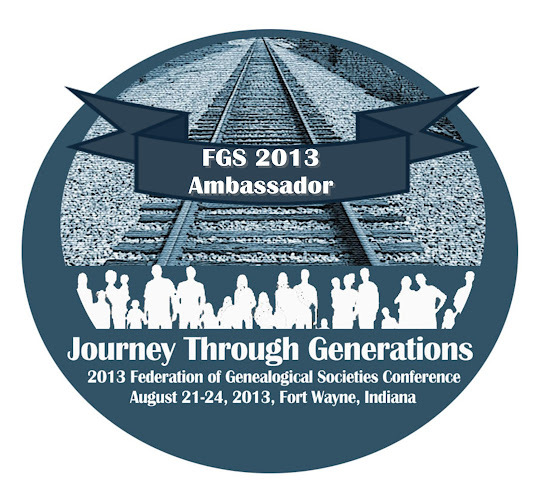 First, they are a source of education on the subject of genealogy and its many subtopics. Then of course there are the research-related books that include indexes to records, transcripts and abstracts of records, family histories and compiled genealogies, as well as books related to history (e.g., general history about a country, region, state, county, or town; historical events, such as a war; or a time period, such as The Great Depression). In this post, I’ll share a list of genealogy references I recommend, how to find research-related books, and a few other tips along the way. The following seven books are must-haves for anyone with an interest in genealogy research. Between these seven books, you will learn tips and techniques for general genealogy research and analysis, how to find and use various record types, and how to deal with documentation, from collecting to abstracting to citations. The books below are also great references for specific genealogical topics. In addition to these resources, there are plenty of books available on other topics, including ethnic research (e.g., German, Irish, etc.). And while books are still a great source of information, many publishers are turning to short reference guides on a specific topic. The National Genealogical Society’s Research in the States series offers practical advice for researching in a particular state. While not all states are currently available, they have 18 and I believe their plan is to have one for each state. Genealogical Publishing Co. carries two lines of guides: Genealogy at a Glance and QuickSheet. These guides cover a variety of topics including Italian genealogy, Revolutionary War, African American genealogy, cluster research, and problem analysis. Legacy Family Tree recently came out with their Legacy QuickGuideTM series, covering many different topics from preserving family heirlooms to Canadian genealogy to land records. For a listing of some other reference books, check out my Goodreads Genealogy General Reference list. There are so many books out there that contain transcripts and abstracts of records, as well as indexes to records. Also of use to the genealogist are compiled genealogies and family histories and the various history books as I described above. These books are often hard to find and many times are hidden among genealogy or local history collections in public and society libraries. Fortunately, the internet has made finding these books a little easier. Here are a few ideas to help you find these gems. WorldCat – WorldCat is a online catalog of collections from participating libraries. It’s a good place to search for books to see what’s available. Each book listing provides a list of libraries that have that book in their collection. Here’s an example. Let’s say I want to see if there are books that contain cemetery records for Oakland County, Michigan. I used the search string cemetery oakland county michigan and found 72 results. The second entry is for Mt. Hope Cemetery, which is a cemetery of interest. When I look at the listing for the book, I can see what libraries near me have the book. Unfortunately, the nearest library is 138 miles away. But if one of these libraries circulates this book, I may be able to get it through inter-library loan at my local library. The listing also tells me the publisher of the book, which happens to be the Pontiac Area Historical and Genealogical Society. I may be able to contact them and see if they have the book available for sale. If I found a book that had been published prior to 1923, I would try to see if I could find a digitized copy through Internet Archive, Google Books, or HathiTrust (more on these sites in a few moments). Or I might see if I could find a used copy to purchase from websites like Amazon, eBay and Half. The other nice thing about WorldCat is that you can create an account and save books of interest to your account (you can even create lists to categorize your books, for an example, you can view my profile page here). Genealogical and Historical Societies – Many research-related books, especially the books that are indexes to records or that contain transcripts or abstracts of records, are compiled and published by genealogical and historical societies in the interest of preserving records and history. Purchase the book from the society. Search WorldCat (discussed above) and see if I can get the book from a nearby library or through inter-library loan. Don’t forget the check out national, regional, state, county, and town societies to see what books the may have published. If they don’t have a website, call or email them. They should have a listing of publications that are for sale, even if they have to send it to you via snail mail. Internet Archive, Google Books, and HathiTrust – These websites contain digitized copies of books that are no longer under copyright. Their scope is very broad, meaning that the digitized books cover more than genealogy and history. While you certainly can find books by using keywords, I find that it’s usually better to have a title to search on. But, absent a specific title and looking for books on the history of Ontario County, New York, I searched on the string ontario county new york history on each of the websites. On HathiTrust I received four results. The first one certainly looks promising. On Google Books, using the same string ontario county new york history, I received 262,000 results, although the first three on the list were very relevant. A modified search string of "ontario county" and "new york" and history narrowed it down to 45,100 results. Like with any Google search, you may need to play around with search terms to narrow the field to the most relevant results. Also, keep in mind that Google Books contains information on non-digitized books in addition to those they have digitized, so it’s also good for finding books on a subject, even if it’s not digitized. And, if you are a Google user, you can create bookshelves and save the books you find. On Internet Archive, using the original search string of ontario county new york history, I received 16 results. All look promising, but there are duplicates (this happens when more than one institution digitizes the same book). Family History Books – If I remember correctly, this project used to be hosted through Brigham Young University. Family History Books is now available through FamilySearch and continues to grow by leaps and bounds having now partnered with institutions beyond BYU and the Family History Library. Unlike the three website we just discussed, this website contains digitized books specific to family history. The collection includes compiled genealogies, county and local histories, gazetteers, and even genealogy magazines and how-to books. Using the same search for books related to the history of Ontario County, New York, I used the same general search string ontario county new york history and received 6,705 results. Many of the results seemed irrelevant. So I tried using quotation marks and the word and (then the + sign) and while the results narrowed down considerably, there was still a lot of irrelevant results. So I used the search string “ontario county” and came up with 598 results. This of course broadened it beyond a county history, but the results were at least centered on Ontario County (in and out of New York). The website is in Beta, so maybe there will be some improvements to the search in the future. I did try the advanced search once I was able to get an idea of how the subjects were constructed (originally my subject searches were going nowhere). That narrowed down the pool considerably to any subject that contained “New York, Ontario.” I wish it was set up like the FHL card catalog; I think that would make finding things much easier, but perhaps I just haven’t played around with it enough. Search Engines – Another way to find book titles is to do an internet search using your favorite search engine. For example, I wanted to see what books exist for the War of 1812. I’m looking for general references to learn more about the war itself, not tied to anything in particular, so I used the search string “war of 1812” book. While my Google search returned books for sale at Amazon and those digitized by Google (or others), there were some interesting search results. One of the first ones was an article in the Washington Post that talked about three different books on the subject. I also found a War of 1812 website that had a listing of several books, with links to the Amazon descriptions, as well as reviews. Popular books, such as genealogy “how-to” books, can be purchased through many retailers both online and at the brick and mortar stores. My favorites are Amazon and Barnes and Noble. Genealogical Publishing Co. specializes in genealogy and history books. In some cases these books are new or recently published books, while other times they are reprints of those previously-out-of-print books such as compiled genealogies. For hard-to-find or out-of-print books, used copies may be the only way to go. You can purchased used books through Amazon, eBay, and Half. I like Half because I can set up a wish list and I will be notified by email when a book is posted for sale. I can usually find a good deal this way. With eBay you can save your searches and get notified by email when a new item matching your search becomes available. And don’t forget the genealogical and historical societies we discussed above! Several months ago, I was introduced to a website called Goodreads. It’s similar to a website that I was previously familiar with called LibraryThing. While I joined LibraryThing, I didn’t really get into it and never invested the time in it. Things may have changed in the last few years since I visited it, so it may be something you’d like to explore. Anyway, I really got into Goodreads. I found it very easy to keep track of my own book inventory, as well as books that I want to read but do not own (for instance I have tags for where I can obtain the book such as Amazon or the library). I also get to keep track of the progress I make on a book I’m reading, as well as provide a rating and a review when I’m finished. Keeping an inventory also helps me to not buy a book I already own (or borrowed from a library and read), which I have done in the past. But the best thing I’ve found is that I can see what my friends are reading (or want to read). I get to see how they rated a book and what they thought of the book if they provided a review. I’ve discovered several genealogy-related books that I may not have otherwise found, and I can quickly add them to my “Want to Read” list. I’m still working on getting my inventory logged. It takes some time, but I do a little bit each day. And I also created tags so I know if I own the hardcopy, the Kindle version, or a PDF (such as those I’ve downloaded from Internet Archive and Google Books). This way I know what I have and more importantly, where it is! If you are using Goodreads and we are not friends already, feel free to friend me. Same goes for those who decide to start using the site in the future. Earlier in this post I provided a link to my Genealogy General Reference book list; you do not have to be a Goodreads member to view it. You can visit my profile and peruse all of my bookshelves, but here are a few links to my genealogy-related shelves in case you’re interested. I hope you got some good ideas and tips from this blog post. If you have ideas you’d like to share, I'd love to hear them, so drop me a comment! Julie, excellent post on books for genealogy! You're a book lover after my own heart - my personal genealogy library numbers nearly 100 volumes so far, including many of the reference books you cite and several for the localities I'm researching for my ancestors. Always enjoy your blog posts! Thx, Doug. Nice to see you on G+!! Fantastic post, Julie! While I use all of these websites, it's handy to have them all in one post. Thanks! Thanks for such a helpful post, Julie. I'll have to look into goodreads. Julie, what an awesome. It's so easy to understand, and you've got great tips throughout and thank you for the reminder about WorldCat. Must recheck that soon.